Since the creation of the National Movement of Victims of State Crime (MOVICE) the fundamental aim has been the recognition of victims of crimes committed by the State by action or omission via actions perpetrated by members of the Public Force, parastatal or paramilitary agents acting with the auspice, support or complicity of the Colombian State. 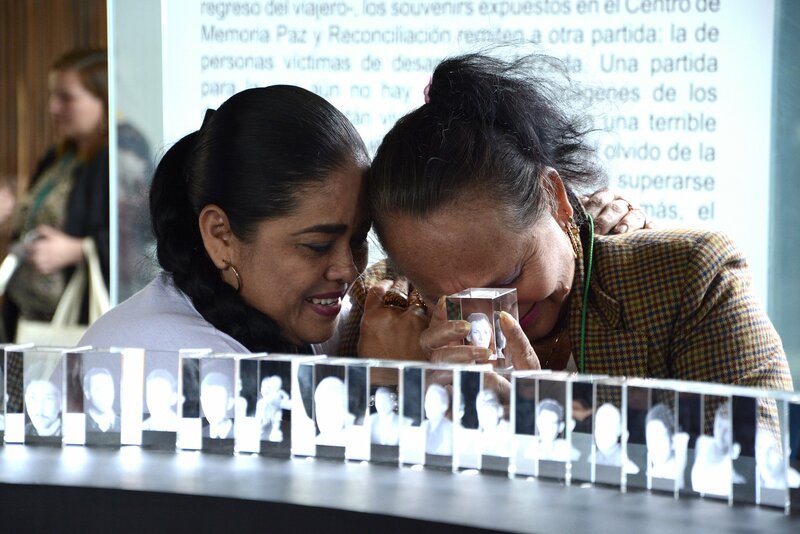 The MOVICE demands the restoration of the right to truth, justice, full compensation and guarantee of non-repetition and the right to remember the thousands of women and men who wished to build a Colombia in peace and with social justice. The organization of victims of State crime pursues the the right to organize and mobilize and in any case commits to asserting the dignity of victims, elaborating political proposals, resisting forgetting victims and crimes and refuses to reconcile the rights of the victims with a State which has favoured the victimizers to the extent of shamefully allowing them impunity. Thus, the MOVICE has adopted a clear political posture that emerged from the crimes committed against the popular and social movement in Colombia, crimes that are the result of a social, political, financial and ideological intention promoted or allowed by the Colombian State and its agents and implemented by paramilitaries groups in favor of the interests of the dominant classes and transnational companies. All these crimes are clearly the responsibility of the State, so the State must answer to them before the victims, their families, the victim organizations and the Colombian society. The decision to create a movement for the victims of State crime does not deny the existence of other victims and their right of organization that they have already been exercising for years in our country in different social sectors. Without a doubt, there are victims that have seen their basic rights denied by the State; their right to participate in shaping the laws against impunity denied, victims to whom there is not adequate attention given in mass media. For all these victims there is a right of organization to demand the State complies with its constitutional obligations and to respect the international standards of victims’ rights.